Marriott is on a journey to make your travels uncomplicated, unforgettable, brilliant. There are many people here at the call center over 50 years of age. The purpose of this anonymous survey is for you to rate an employer's workplace environment and company values as to whether they are (i) generally age friendly, (ii) unwelcoming to workers age 50+, or (iii) in between. We're committed to protecting our community from fraudulent submissions that might affect our ratings and reviews. We review and approve every post before it appears on our site: View ratings. 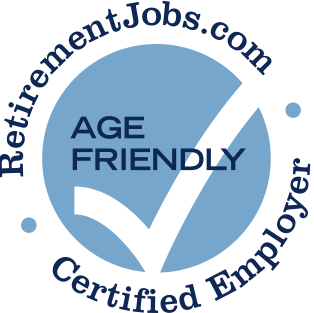 Your submission and the employer's response, if any, is included in our confidential evaluation of this employer's current or future application to be designated as a Certified Age Friendly Employer. 12. This survey is anonymous. But if you are open to being contacted by RetirementJobs.com's Research Group, please provide your contact information. Your name or contact information will never be shared with the employer. Please click here to send us feedback. After reading the comments by those who express their perspective of age related discriminating practices by more than a few employers, I felt very concerned for older workers that need/desire employment. I wonder if these employers understand that it is not just the revenue from young adults that keep them in business. I wonder how they would survive if the older generation would stop supporting their businesses. I also wonder if these employers understand the principle of sowing and reaping? I am grateful to your agency for providing the results of your survey and your commitment to provide older workers with reliable job leads. All contents © Copyright 2016 RetirementJobs.com . All rights reserved.